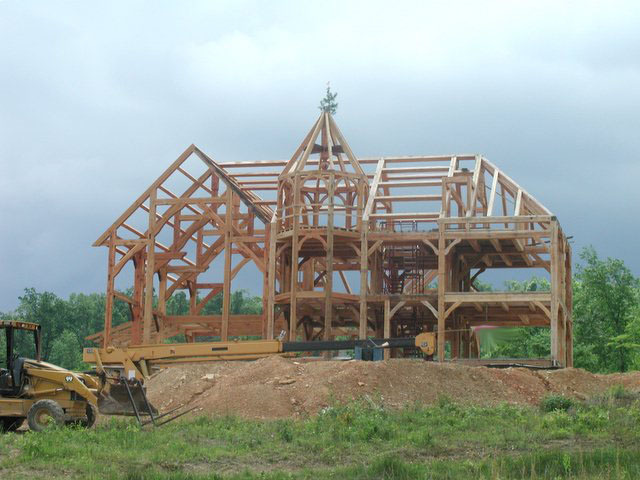 Two days until the election - then back to work on the house! The battle for the heart and soul of the national republican party is underway right now in Kentucky. 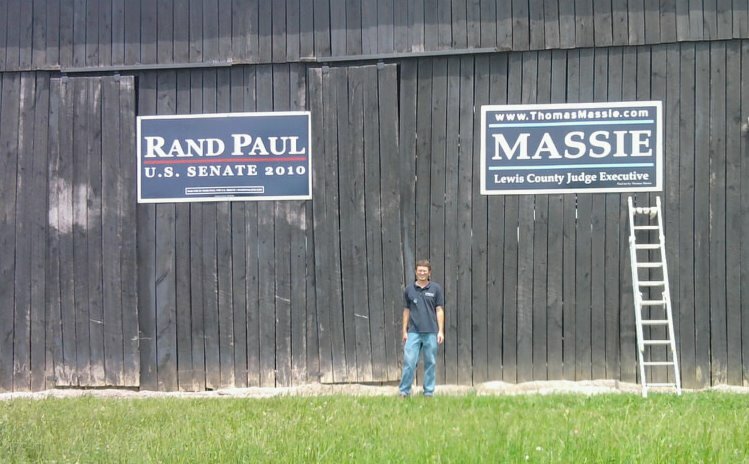 In three days, Rand Paul (Tea Party Republican favorite) will defeat Trey Grayson (Bailout Establishment Republican favorite) in the Kentucky primary for US Senate. The only question now is... by how much? A crushing (double digit) win will send shock waves across Kentucky and throughout the country, invigorating constitutional conservatives within the Republican party. 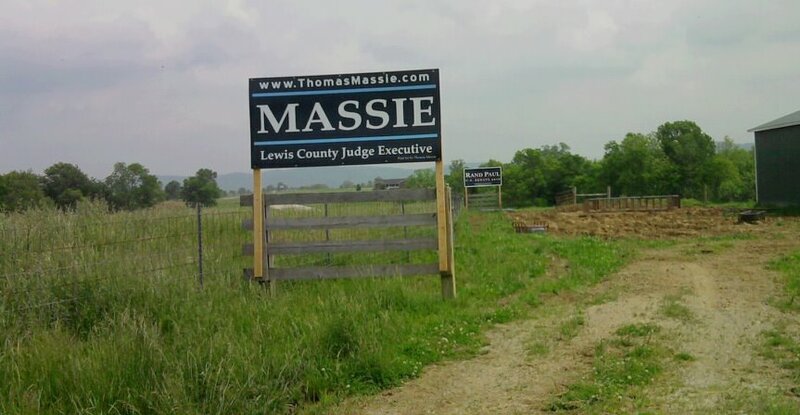 I genuinely think he can win Lewis County with a 20% margin of victory. And every percentage point counts, because this is a referendum on freedom and common sense. 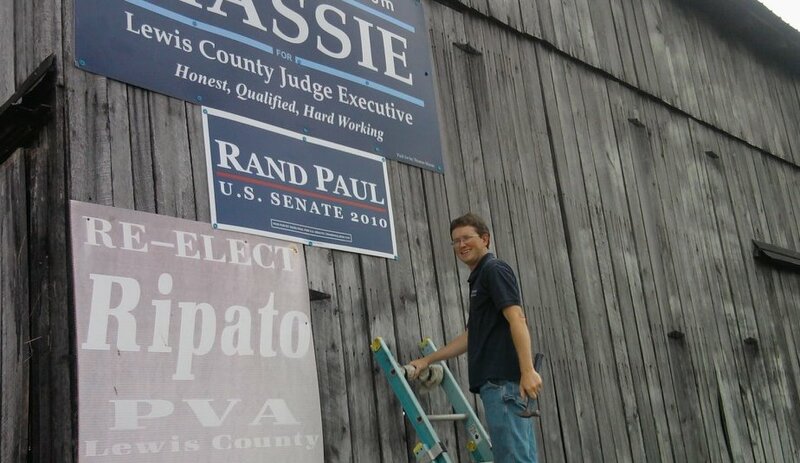 Two months before I began running my own campaign for County Judge Executive, I personally committed to helping Rand Paul win. 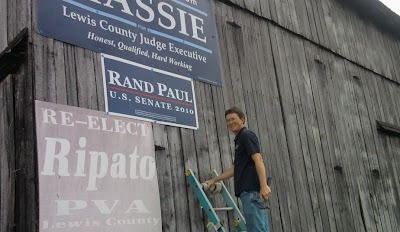 My decision (in November) to run for local office was influenced, no doubt, by his willingness to step forward and run for US Senate. 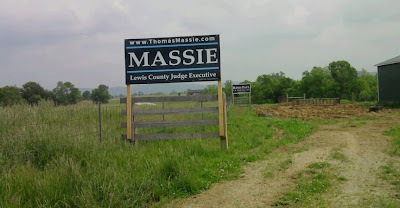 (September blog post) I'm convinced that it will take constitutional conservatives in office at all levels of government to turn this country around. We need new leadership from the top to the bottom. I heard our dogcatcher quit just last week... anyone game? 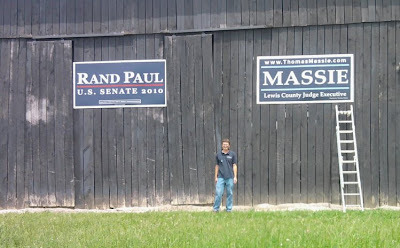 I'll take more photos of other notable Rand Paul barn/highway signs and post them this evening!